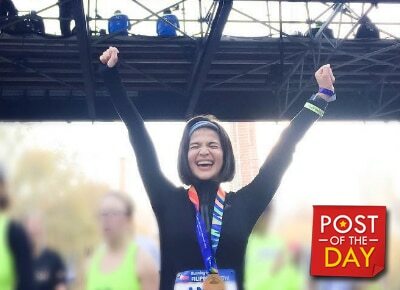 After her long preparation for her first run in the TCS New York City Marathon, Anne Curtis took to Instagram to express her joy when she reached the finish line. “I did it! My very first marathon in NYC! What a bucket list moment! I can't explain how fulfilling it is when you cross the finish line,” she wrote in her photo’s caption. She also thanked her kababayans who cheered her on while she was running. Anne ran the race with her It’s Showtime co-host Kim Atienza and her beau Erwan Heussaff.